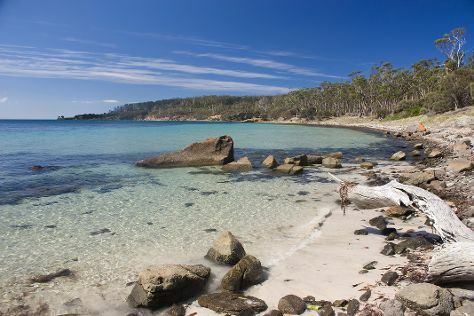 Explore hidden gems such as Maria Island National Park and Tessellated Pavement. Change things up with these side-trips from Hobart: The Sensory Tasmania (in Richmond) and Three Capes Track (in Port Arthur). Spend the 18th (Sat) wandering through the wild on a nature and wildlife tour. The adventure continues: indulge your senses at some of the top wineries in the area and take in the spiritual surroundings of St. David's Cathedral. To see where to stay, photos, more things to do, and more tourist information, read our Hobart holiday planner. In May, daytime highs in Hobart are 60°F, while nighttime lows are 43°F. Cap off your sightseeing on the 18th (Sat) early enough to travel back home.